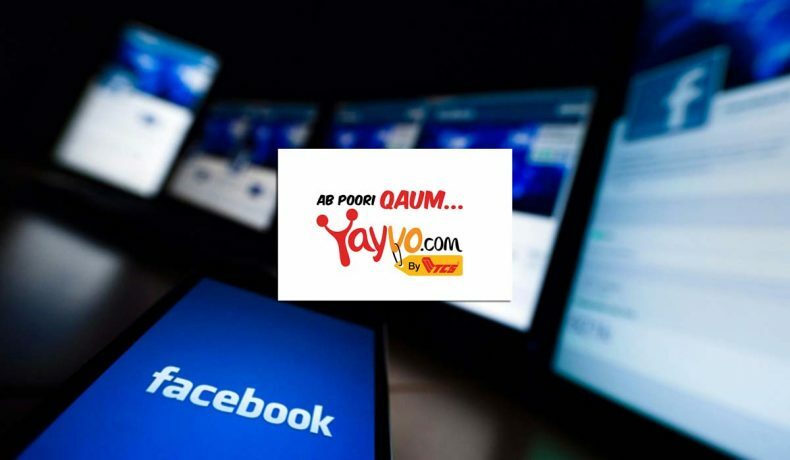 One of Pakistan’s leading e-commerce store, Yayvo, has been picked up by Facebook as one of it’s Business Success Stories for a well thought out marketing policy to garner women audiences that included Facebook advertisements. Yavyo.com has been thriving above expectations ever since it arrived on the e-commerce scene, becoming a force to be reckoned with despite the likes of Kaymu and others. One problem it,however, had always experienced was the lack of women analogy. Even the hugely successful,PKR200 Million Black Friday ended up as a men dominated affair. With Women constituting over 48% of Pakistan’s population.Such high handed-ness from the women side could have left the $1 Billion Target of the e-commerce industry,high and dry, but somehow Yavyo.com came up with the winds of change. To drive up the sales on the Women’s Corner,Yavyo.com came up with Facebook advertisements prior to the launch of leading Clothing brands. The idea paved off,generating 10,000 leads and substantial audiences even before the stock came along. This along with the update of Facebook Pixels on the website;audience tracker, doubled the sales on the women corner and expanded the women shoppers by over 47%. Well, while the Brand deserves praise for the strategy, it’s worth mentioning that neither is Yavyo.com first to make the cut, and if God wills,nor will it be the last. So,until another name rewrites the blog, just commend the man of the moment.